A Faithful Man directed by and staring Louis Garrel (France) 2018 isn’t a typical romantic comedy. The somewhat dark opening scene undermines familiar expectations. Of course, starting from the lowest point of a romantic situation, circumstances can only improve. The question is how and when. The journey includes many obstacles and unexpected complications. The unconventional nature of the relationship is disturbing at times but overall adds to the emotional and intellectual resolution of the conclusion. A Faithful Man reminded me of film classics such as François Truffaut’s Jules And Jim and Eric Rohmer’s My Night At Maud’s. The film played twice during the 2019 San Francisco International Film Festival. For mere info and tickets contact San Francisco Film Institute. Worlds Apart written and directed by Christopher Papakaliatis (Greece) 2015 is both disturbing and hopeful. The film deals with issues that impact not only Greece and other European countries but also many nations around the world. Immigration, economic justice, austerity, racism, violence, and the power of love. 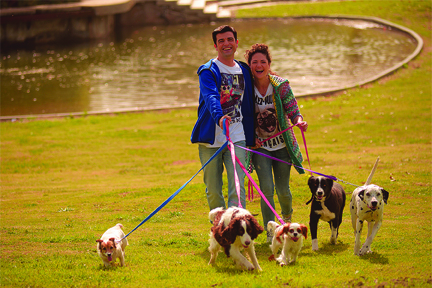 Three heterosexual couples, each pair made up of a Greek and a foreigner, overcome initial cultural barriers before finding common ground. A young college student and a Syrian refugee, two business professionals, a mature housewife and a retired German scholar. The film had theatrical runs in New York and Los Angeles before it’s recent, one-night screening sponsored by the San Francisco Greek Film Festival. The key senator of the opposition party disappears after being heckled in public. His desperate personal assistant invites the missing politician’s twin brother, recently released from a mental institution, to take the place of his absent sibling with surprising consequences. Both roles are played by Toni Servillo in Long Live Freedom directed by Roberto Andò (Italy) 2013. The film screened at the recently concluded New Italian Film Events 2014 programmed by the San Francisco Film Society at the Vogue Theatre in San Francisco. Gynecologist Fabrizio wants a serious commitment from his photographer boyfriend Diego. Their union will include the planting of a pine tree. 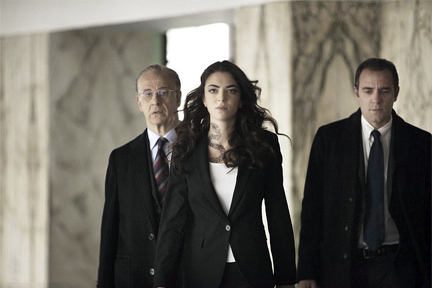 While Diego is out to his parents, he hesitates knowing Fabrizio’s father is opposed to their relationship. But before Diego responds he receives word that his teenage son Armando is on the way from Spain to Venezuela. My Straight Son directed by Miguel Ferrari (Venezuela/Spain) 2012 has all the elements of a telenovela. 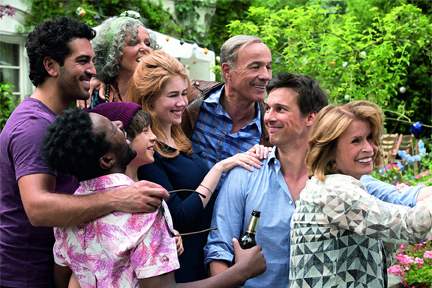 It includes complex family dynamics, colorful characters, high drama and humor, as well as the tragic consequences of intolerance for those outside the mainstream. It screened at the recently concluded Frameline 38 film festival. 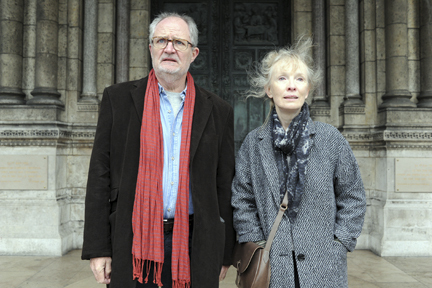 A British couple revisits Paris three decades after their honeymoon, in Le Week-End directed by Roger Michell (UK) 2013. Nick and Meg seem trapped in a stultifying relationship, hardly worth celebrating. Each of them invariably pushed or pulled in the opposite direction of the other. Nick often worried about the expense of things and Meg indulging in numerous extravagances. Whatever spark of excitement they once shared seems long extinguished. Age has obviously taken its toll. Nick seems little concerned with his appearance, overweight, dressed decently, but unshaven. Meg still clings to what is left of her beauty, uncomfortable with the few pounds she gained. He’s still aroused by her but she refuses to comply to his sexual dessires. At the thirty-year mark they seem to be on the verge of a break-up. An unexpected encounter with Morgan, an old college pal of Nick’s, introduces a new element into the picture. Nick and Meg put on happy faces at a party they attend. A deeper level of reality is revealed and a dim glimmer of hope manifested. The unpleasant drama of their life together might not be doomed to failure. It opens 14 March 2014 at Lincoln Plaza and Angelika in New York, as well as The Landmark in Los Angeles. Also 21 March 2014 at Century Cinema in Chicago, Embarcadero 5 in San Francisco, Cine Arts in Evanston, Monica 4 in Santa Monica, Playhouse 7 in Pasadena, Sundance Cinema Sunset in Los Angeles, and La Jolla in San Diego.